Make cooking a breeze with this handy set of kitchen essentials from Bambu. Each set comes complete with a spatula, spoon, sauce spoon and slotted spoon. Bambu make all of their kitchen essentials out of organic, sustainable bamboo and nothing more. This means there’s no plastics used and no BPA or phthalates to worry about. Bamboo is a highly sustainable material that has a low environmental impact, plus it’s highly durable. This set will give you years of reliable cooking; saving you money on replacements. The Bambu Organic Essentials Utensils - Set of 4 product ethics are indicated below. To learn more about these product ethics and to see related products, follow the links below. 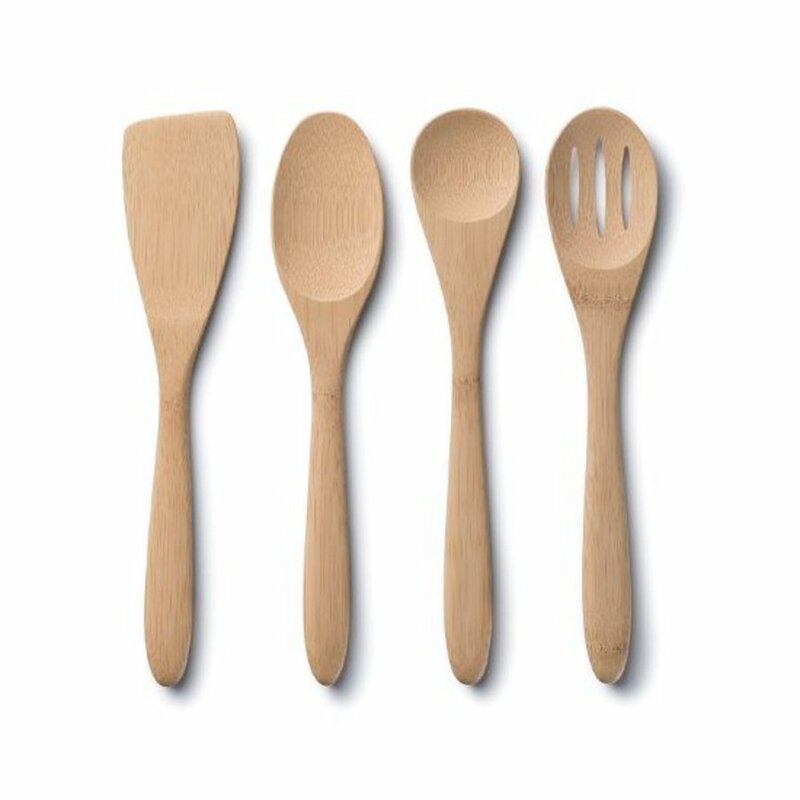 There are currently no questions to display about Bambu Organic Essentials Utensils - Set of 4.